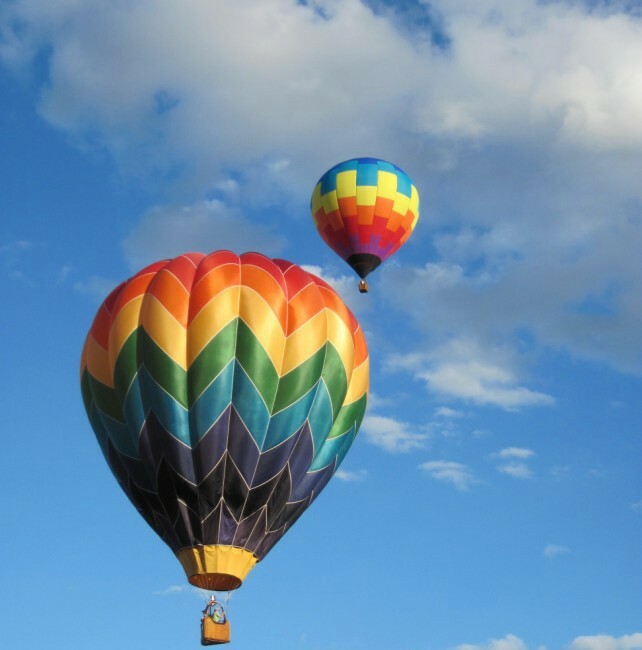 I always wanted to go to the huge hot air balloon festival in Albuquerque, NM. I haven’t made it yet, but last year my daughter and I went to a smaller version in Knoxville, TN. What a dream come true I had as I saw balloon after balloon rise, then go higher and higher until they were out of sight. I never had a desire to ride in one; I just wanted to see them go up. That is not true of airplanes. I love traveling by plane. It gives me a sense of what it would be like to be the man on the bottom of the largest balloon in the picture at the top of this page. Just a sense. Sometimes all we need is just a sense of something, a taste of whatever, a little bit of that thing we’ve been longing for. At times, it’s enough to set us on an entirely different path in life, because it ignites in us a passion we never realized we had before that moment. Travel is one of my passions. I like traveling alone, and I like traveling with someone. Sometimes I think that if I had the chance, I’d be gone three weeks out of every four. But then I know that I would miss my kitties, my garden and my own sweet four-poster bed. Maybe being gone two out of every four weeks would be a better balance. This year I went to Puerto Rico. It wasn’t the most memorable trip I’ve had by any means. It was more like a comedy of errors. I’m still glad I went, though. Oscar was probably the highlight of the trip. Standing about 5’7″ tall with wavy brown hair, Oscar was the taxi driver who saved me a lot of money. He declared that a lot of drivers would overcharge people just because they were tourists. So I paid him a set amount to drive us around for a couple of days. He took us to a beach where we found a few beautiful shells. I have shells from everywhere, though I haven’t personally collected all of them myself. There was a huge conch shell with a small piece broken off. I like that shell almost better than the perfect ones in my collection. It shows me how we are such amazing creatures. Even when a small piece of us breaks, we’re still beautiful if we can see it or allow others to see it and show us our beauty. I’m really getting itchy to go somewhere again. But when? Where? I don’t know. What I do know is that for this moment, I’m happy to be at home writing my blog. My kitties are snuggled up on the guest bed in the office, waiting for me to tell them it’s time for us all to go to bed. I think I’ll do that now. Where would you like to go in this wide world? Leave a comment!